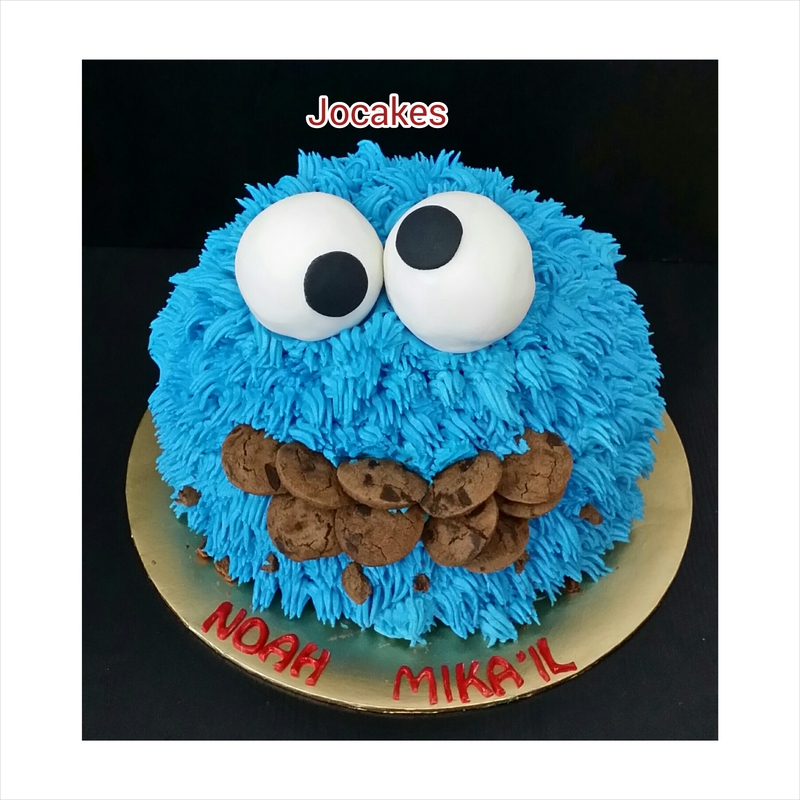 Cookie monster cake for Noah Mika’il’s 1st birthday. 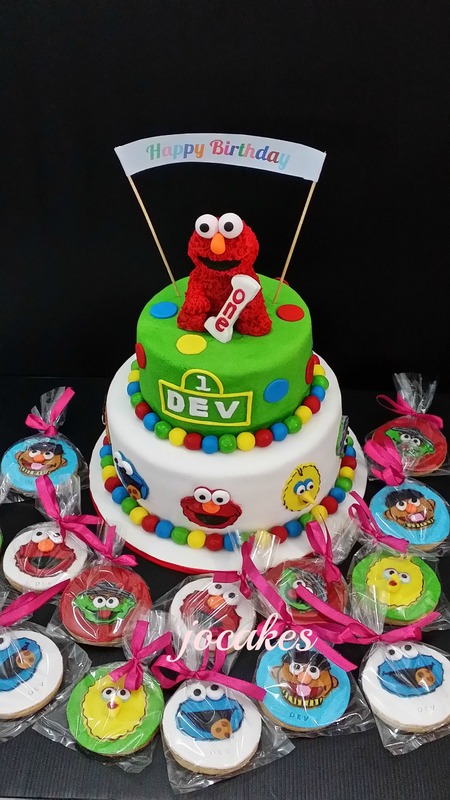 Elmo cake for Chantelle’s birthday. 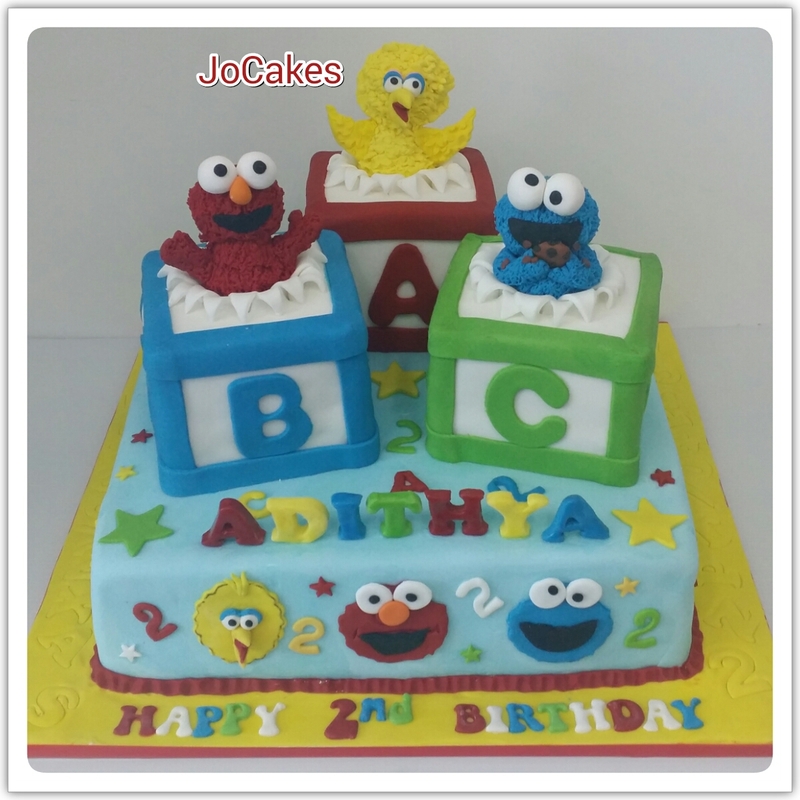 Adithya’s 2nd birthday with Sesame Street! 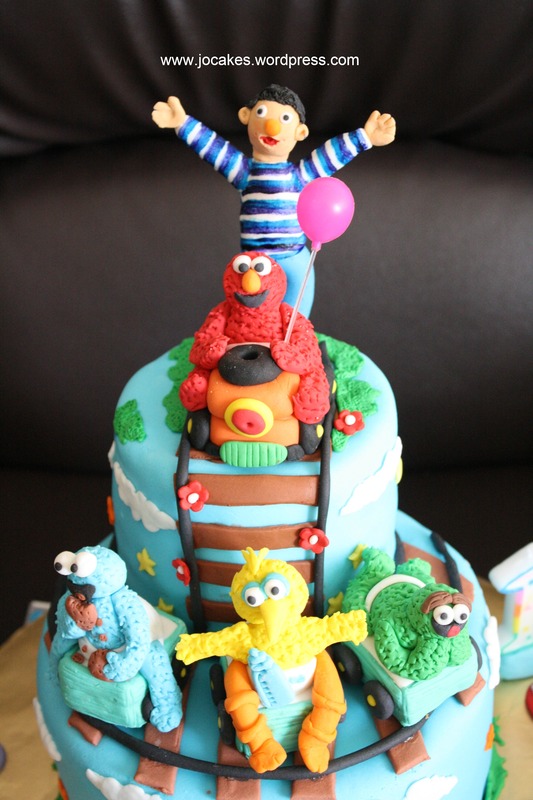 Adithya’s parents, Poomesh and Udar came back again this year for his birthday cake! 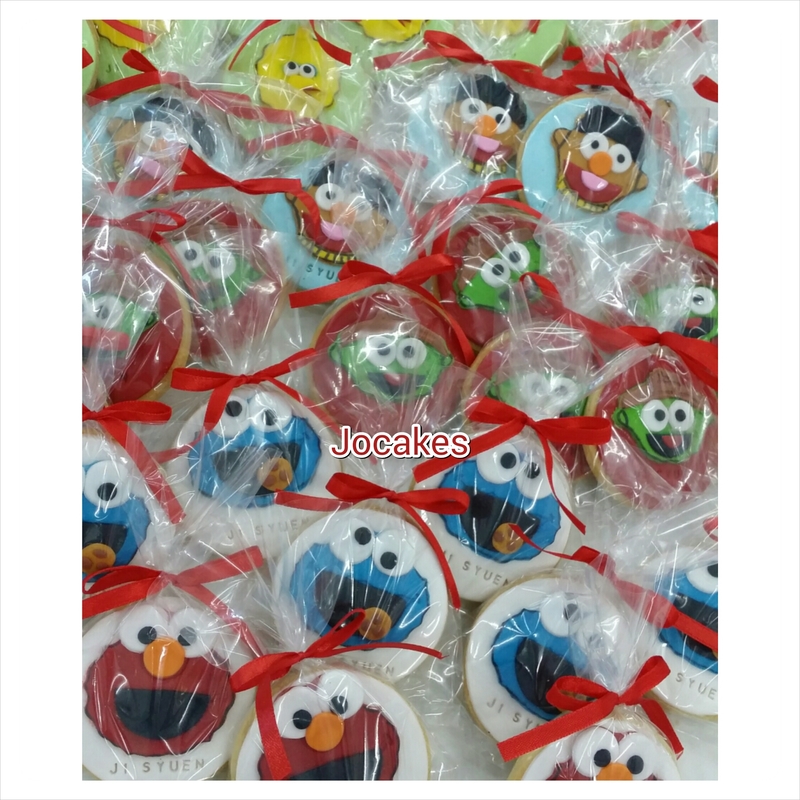 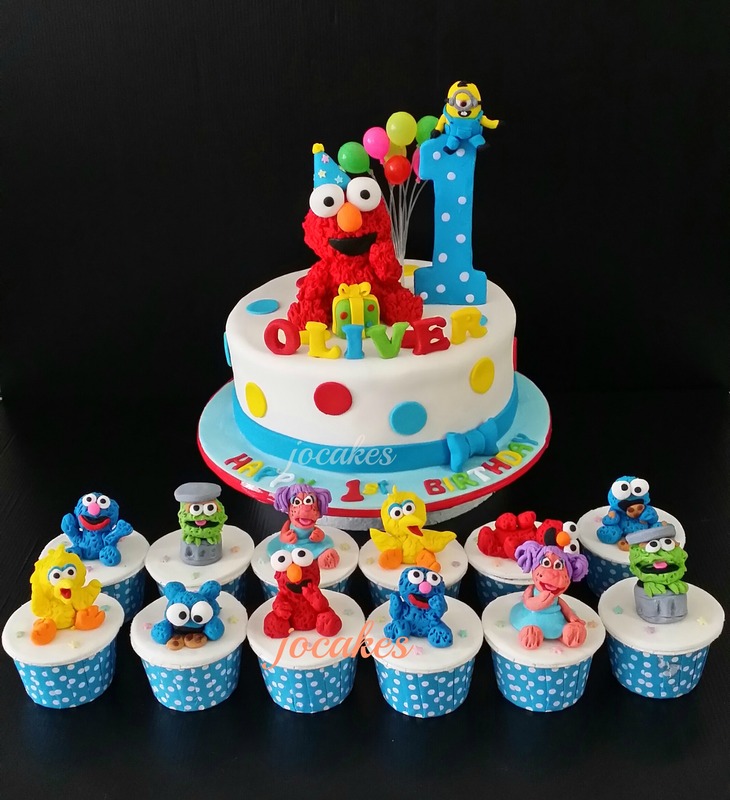 As usual, it’s Sesame Street theme same as last year’s 1st birthday. 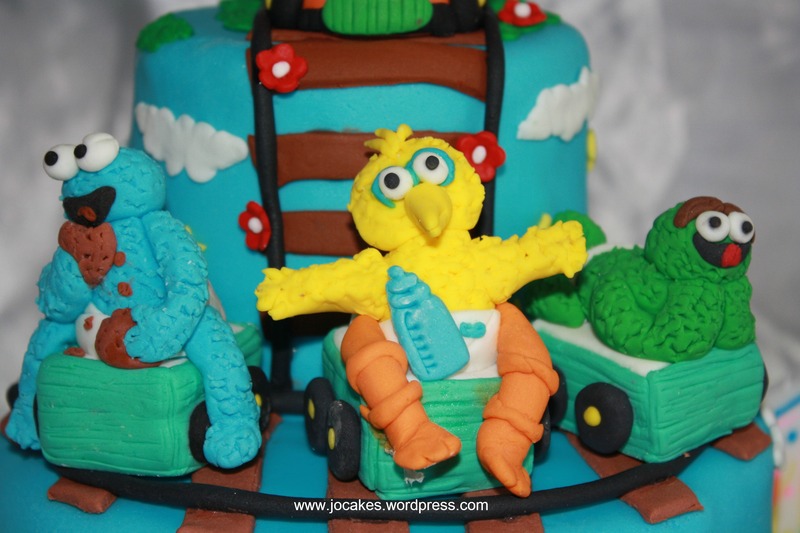 The cake is 12″ square cake with 3 nos of ABC block cake. 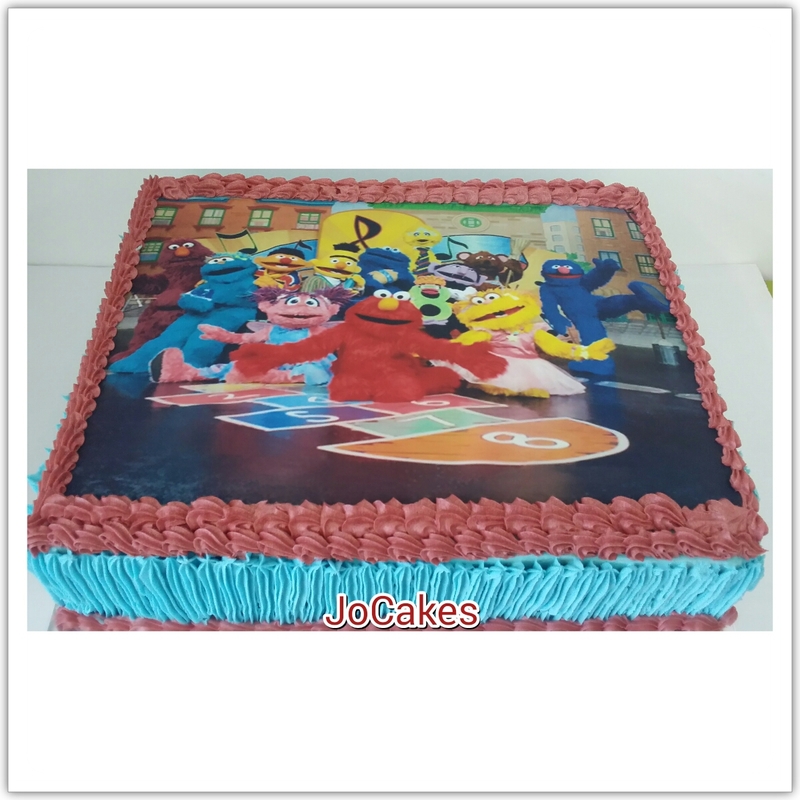 On the side, they also ordered a 15″x12″ for the orphanage home. 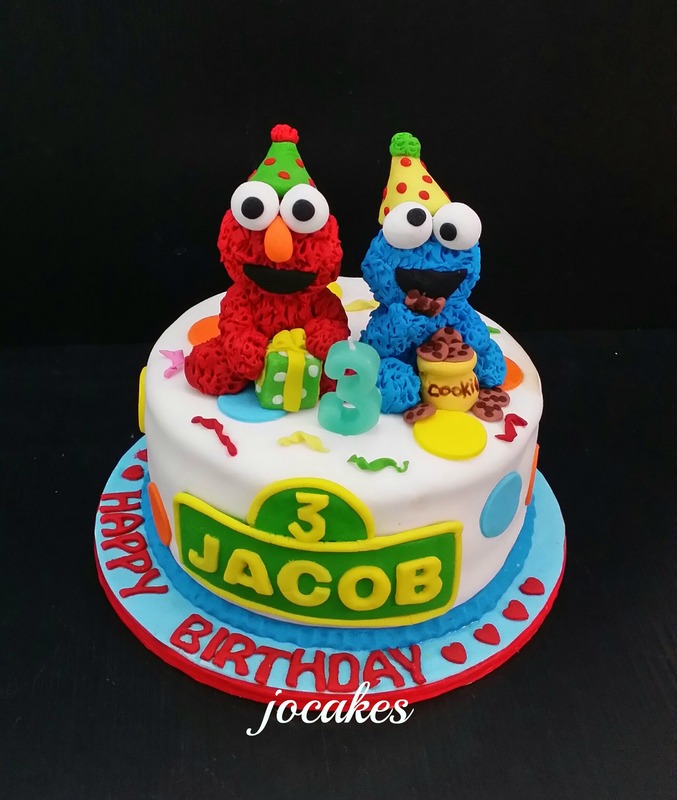 Elmo and cookie monster cake for little Jacob’s birthday. 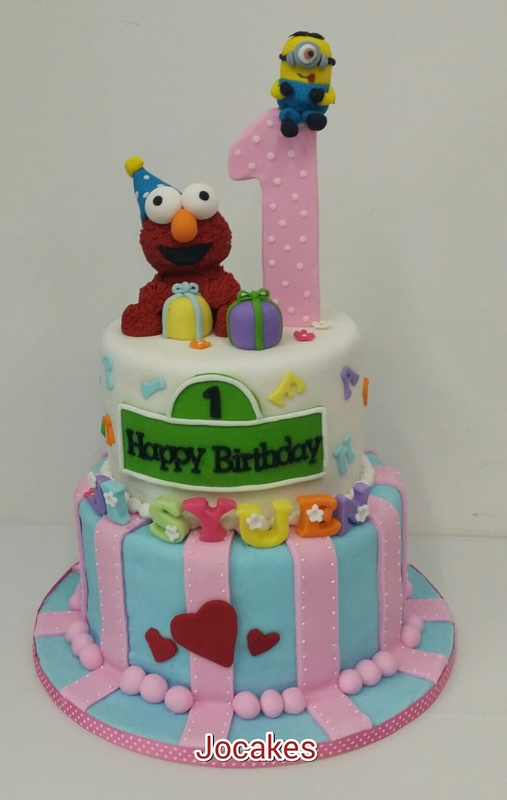 Sesame Street birthday cake for 1 year old girl. 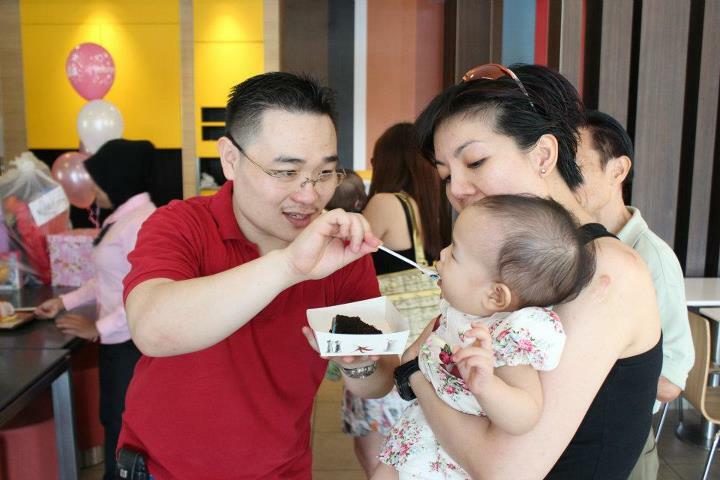 Baby Coco’s first birthday party at Mc Donalds. 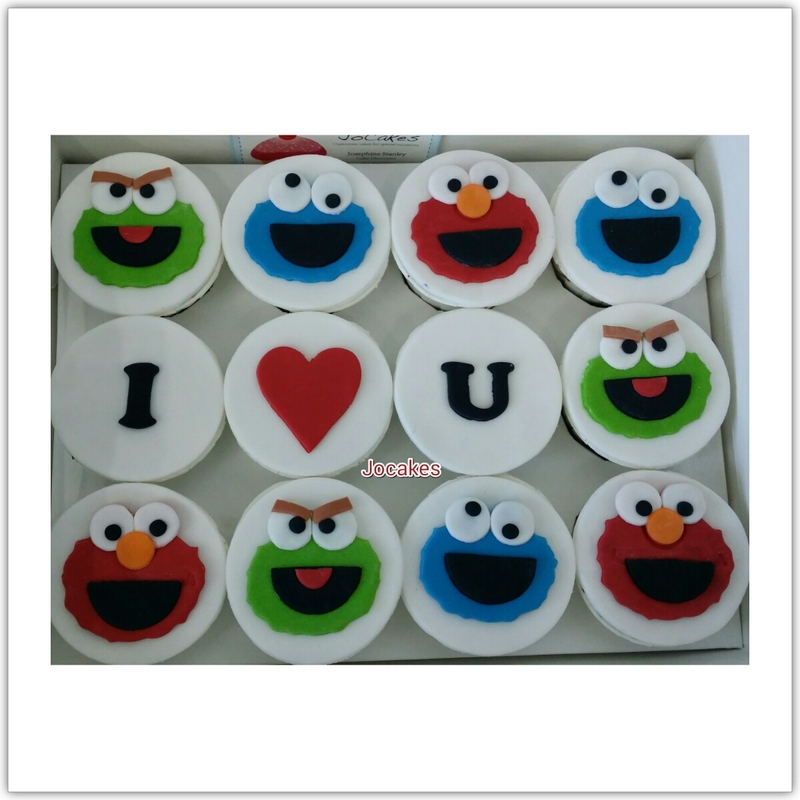 Pictures sent by mom. 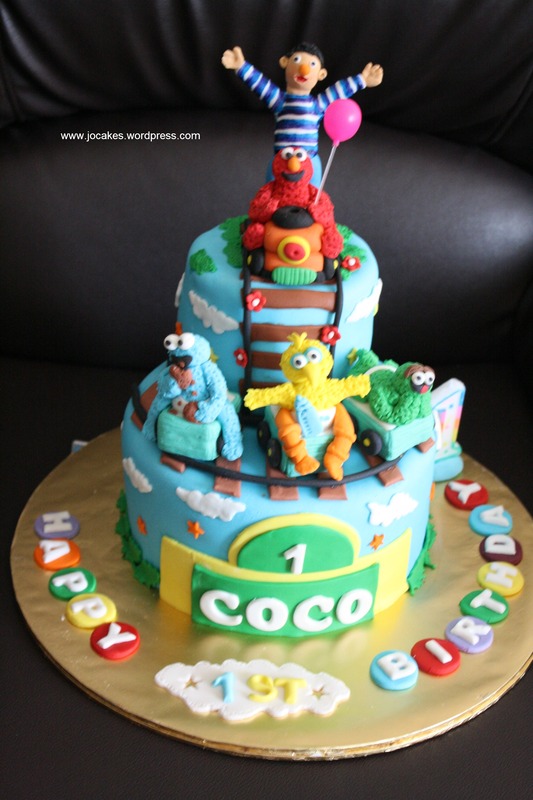 1 year old baby girl, Coco likes to watch Sesame Street movie when she is awake. 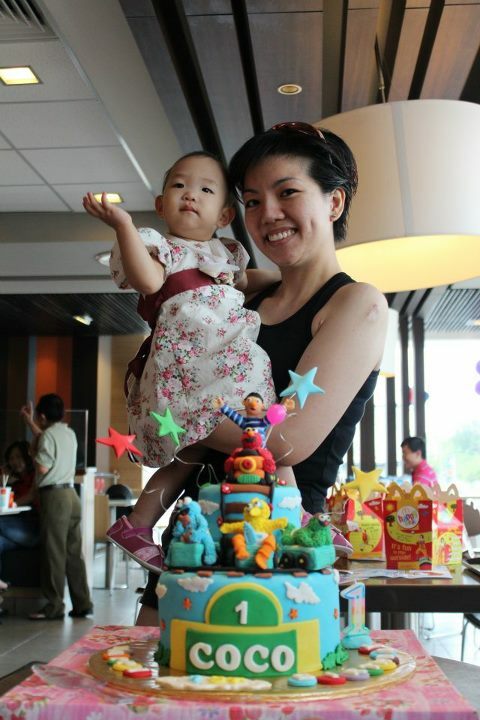 Her mom said the TV is just like a baby sitter to baby Coco and that she can do her house chores when she is watching the show. 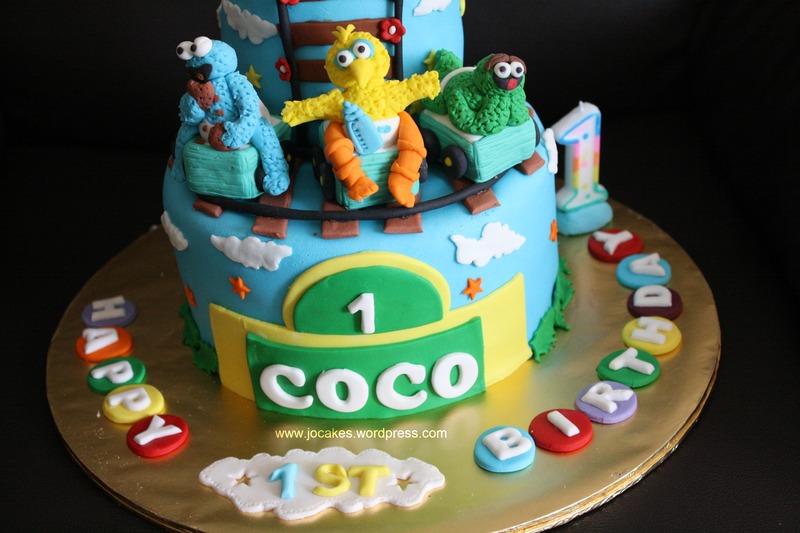 :) That’s why she commissioned a Sesame Street Cake for baby Coco. 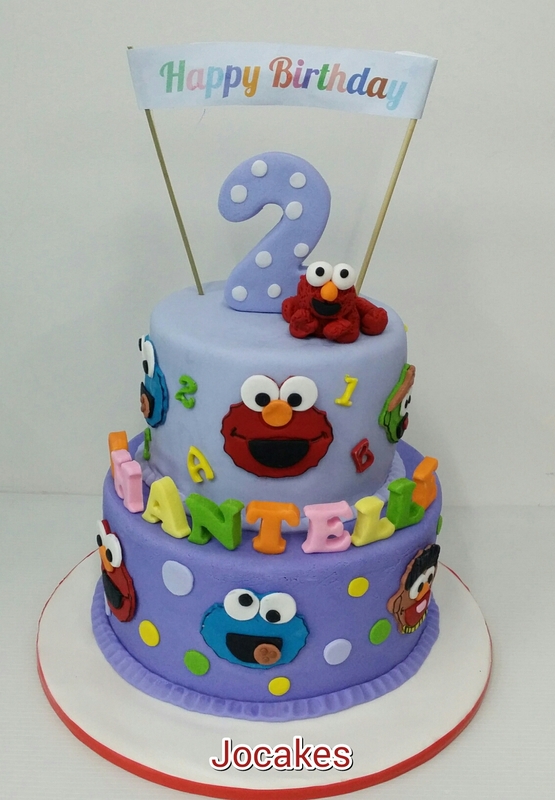 I just loved decorating this cake b’cos it has many colors that can attract the kids and even adults! 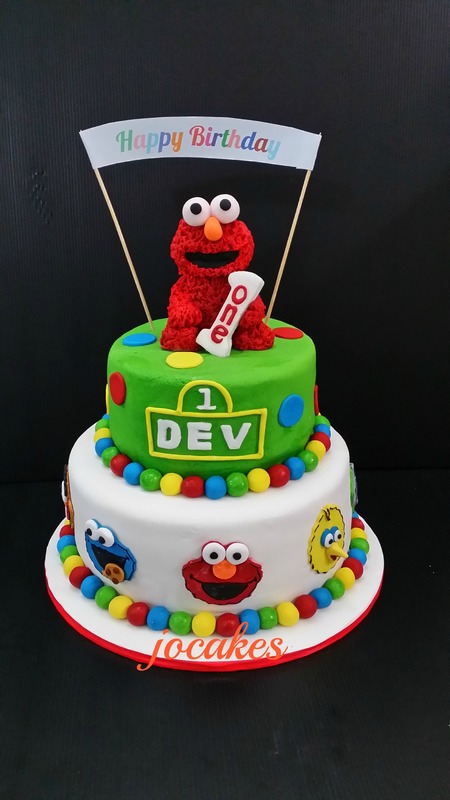 It’s a 8″ mud cake at the bottom and 4″ moist cake top. 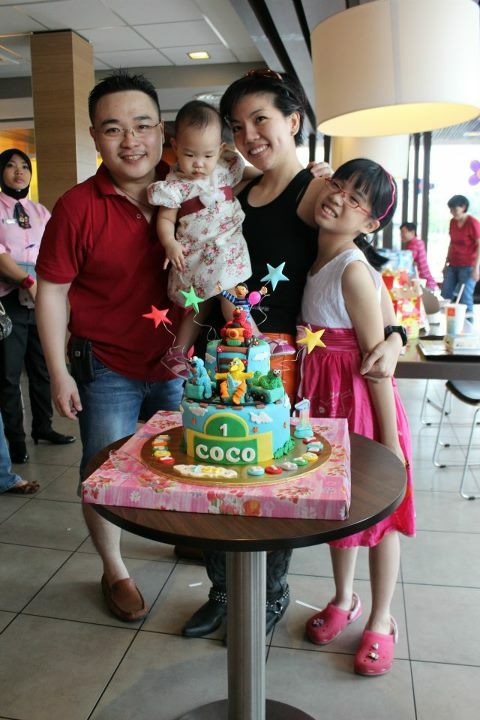 Baby Coco celebrated her birthday party at Mc Donalds!